Animal Care and Control scrambles to find a source of newsprint for puppies to poop on. Joe Sporn of the Yuppie Puppy boarding facility shares his advice on interior form and function. That thing where your dog sullied his paws at the park and is about to get into your newly cleaned car. Yeah, this product has helped me with that. I have tried many things, but Obi still sees the cage as his enemy. What do I do? 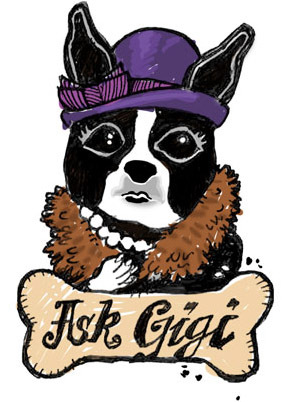 The cartoonist explores the habits of the genteel Pug in her new illustrated book. My dad ended my dream of taking home Fiona the Weimaraner. But I kept thinking about the shelter. Goldie was confined to a outdoor cage by awful owners, with nothing to eat. This is the sort of thing that makes us hate humanity. Dog theft is increasing, and it happens in many ways. Here's what criminals want dog parents to do. Think dogs don't have deep thoughts? Think again. Here are 10 poems penned by pooches. Training Dogs to Have Real Life Skills? That’s C.L.A.S.S. Canine Life and Social Skills teaches things that help dogs move better in the community. The organization plans to live-stream an adoption event that pits Shelter Dogs vs. Street Dogs. My dogs' behavior problems are because of one thing: me. Here's how I failed my dogs -- and how training is helping me fix that. Center director Dr. Cynthia Otto talks about preparing dogs for dangerous jobs. The latest addition to our kitchenette is keeping the dog out of the dog food bag. Would You Test Your Dog’s IQ? In 1996, I bought a book called "The Dog IQ Test" and tested my Brandy Noel. I wouldn't do it again. Animal Planet's extravaganza approaches. Here are photos and descriptions of the contenders. Our vet argues that hiding a dog's bad behavior during adoption is unethical and also illegal. When you don't alert your vet about your dog's tendency to bite, that's just not cool. But hiding a dog's bad behavior during adoption is plain unethical AND illegal. Looking to add a second dog to your home? Here's how to find the best match possible. A new accessory helps keep your lap dog snug against you, where she feels most at home. Chacha, locked out of her home, was shivering through a cold night. Then, the mayor stepped in. Nowzad Dogs founder and war veteran Pen Farthing talks about his mission helping Afghan strays. Lennox the Boxer may have lost the battle with cancer, but he got the dish of his dreams before heading to the Rainbow Bridge. When your new pet is the opposite species of the pet you have at home, you have to move carefully. Here's how. 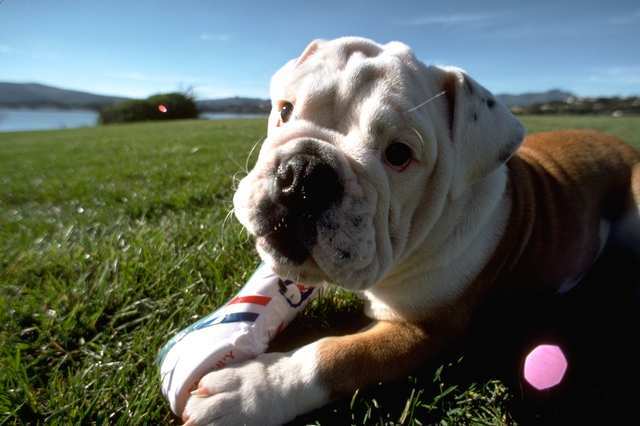 The American Kennel Club now acknowledges 177 dog breeds. One lucky pup will get this stylish and comfy indoor doghouse to call home. Watch this talented Jack Russel Terrier clean the house, fetch the mail, even go shopping! Dogs communicate with their faces, ears, eyes, eyebrows, tails -- their entire bodies. Over the years, I have learned to “listen” to my dogs, to the extent possible.